Con artists, femme fatales, Russians and Western gunslingers – mixing together better than peanut butter and jelly. Right? Well, find out for yourself! In the coming weeks, two of the season’s most significant film books will be celebrated by Museum of the Moving Image with two author events featuring film screenings, discussions, and book signings. On Sunday, February 19, film scholar Dan Callahan, author of Barbara Stanwyck: The Miracle Woman, will explore the life and art of the great Hollywood star with a double-feature screening of two of Stanwyck’s most acclaimed movies. In The Lady Eve, Stanwyck is a con-artist who seduces a naïve snake collector on a ship. According to Callahan, this is “Stanwyck’s funniest, most confident, and most unabashedly romantic performance.” Forty Guns, director Samuel Fuller’s cracked Arizona gunslinger epic, pits a new pacifist marshal (Barry Sullivan) and his brothers against the oppressive rancher Jessica Drummond (Stanwyck) and her posse of 40 hired guns for control of the county. Naturally, the marshall and Jessica fall head over heels in love, much to the chagrin and confusion of the good and bad guys. Easily one of the wildest and most grandly weird westerns in cinema history. Screenings will be followed by discussions and book signings by Callahan. On Sunday, March 11, celebrated novelist and New York Times columnist Geoff Dyerwill participate in a conversation about his obsession with the Russian director Andrei Tarkovsky, a subject at the core of his discursive and fascinating new book Zona. 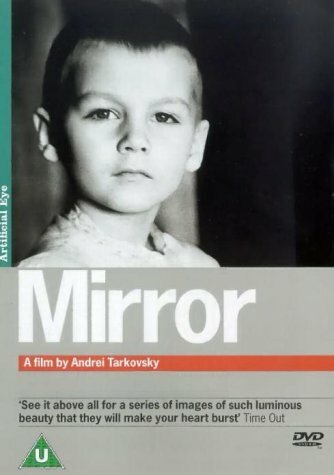 This dialogue with Dyer, moderated by the Museum’s Chief Curator David Schwartz, will be followed by a book signing and a screening of The Mirror, Tarkovsky’s stream-of-consciousness autobiographical film set in World War II-ravaged Russia, cited as the inspiration for Terrence Malick’s Academy Award-nominated film, The Tree of Life. A book signing will follow the screening. All screenings and discussions are free with Museum admission. Book signings will take place in the Museum store. For more information, visit movingimage.us or call 718 777 6888. Hours: Tuesday-Thursday, 10:30 a.m. to 5:00 p.m. Friday, 10:30 to 8:00 p.m. Saturday-Sunday, 10:30 a.m. to 7:00 p.m.
Holiday hours: Museum open on Monday, February 20, 10:30 a.m. to 5:00 p.m.
Film Screenings: Friday evenings, Saturdays and Sundays, and as scheduled. Museum Admission: $12.00 for adults; $9.00 for persons over 65 and for students with ID; $6.00 for children ages 3-18. Children under 3 and Museum members are admitted free. Admission to the galleries is free on Fridays, 4:00 to 8:00 p.m. Tickets for special screenings and events may be purchased in advance by phone at 718 777 6800 or online. Poets and poetry have played a central role in movements for social change since the art form’s conception thousands of years ago. In this age of mass consumption and manipulated mass media, poetry now more than ever acts as a means to give a voice to the voiceless, name the unnamable, and speaks directly to the individual and collective consciousness. Continuing this long and vaunted tradition of social justice through the art form, the Split This Rock Poetry Festival will take place from March 22 – 25 in Washington DC. The festival will primarily take place at the Split This Rock Office with additional at the Thurgood Marshall Center. Readings, workshops and panels featuring some of the nation’s most prominent contemporary poets will help to bring your craft to a new level as well as create common cause and celebrate poetry in the public sphere. The festival acts as a celebration of the many ways in which poets and poetry act as agents for social change by reaching across differences, asserting the ever-important right to free speech, and bearing witness to the ways in which expressing the diversity and complexities of life through language can help us to imagine a better world. Panelists and workshop leaders include well-known poets such as Homero Aridjis, Sherwin Bitsui, Kathy Engel, Carlos Andrés Gómez, Douglas Kearney, Khaled Mattawa, Rachel McKibbens, Marilyn Nelson, Naomi Shihab Nye, Jose Padua, Minnie Bruce Pratt, Kim Roberts, Sonia Sanchez, Venus Thrash, and Alice Walker. The festival also features a special panel honoring the life and legacy of celebrated poet-essayist-activist June Jordan. This festival that is an event that is sure to impress and open one’s mind to the beauty and importance of poetry as a valuable tool for self-expression and social change. For more information, visit SplitThisRock.org. The New Yorker Festival is taking place September 30 - October 2, 2011 at the SVA Theatre, Directors Guild Theatre, SIR Stage 37, New York by Gehry and (Le) Poisson Rouge in Manhattan, New York City. 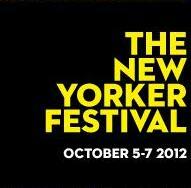 The New Yorker Festival is all about writing -- doing it, reading it, watching the film adaptations, and meeting the scribes themselves. The Moth once again teams up with The New Yorker for an evening of stories about life at the magazine. With Ian Frazier, Raffi Khatchadourian, Jane Kramer, Robert Mankoff and Michael Specter, hosted by Andy Borowitz.